Secondary Spanish Space has officially celebrated our 1st birthday! Thank you so much for reading and joining us on this journey. We really appreciate your support and look forward to year two. To wrap up 2017, we would like to share the must read posts of our first year. Hopefully you are enjoying your break, so grab a warm drink, cuddle up and get ready to read our most popular posts so far. It is perfect timing for Sherry's 5 fresh ideas for the new school year. Find out how you can spice up your classes once you return from break to make this the best year yet! The real question is who does not love Quizlet Live?! It is collaborative, low prep, and engaging for everyone. Find out why Jen loves Quizlet Live so much in this post. 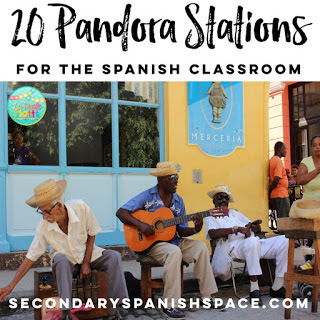 Make sure to bookmark these 20 Pandora Stations shared by Dianna. They make for great background music to complement whatever you are doing in class, or even at home. 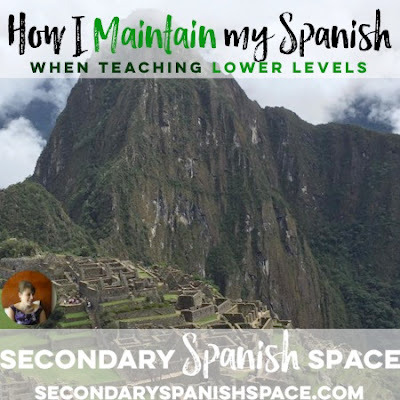 If you feel your own Spanish skills are lacking after spending all day using very simple language, make sure to read how Jessica maintains her Spanish outside of school. 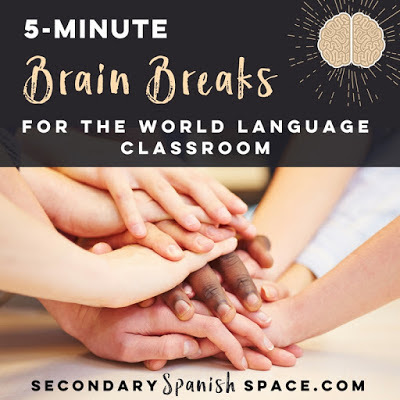 Break is a great time to take care of yourself and use those Spanish skills connecting with an old friend, reading a book, or taking a trip. 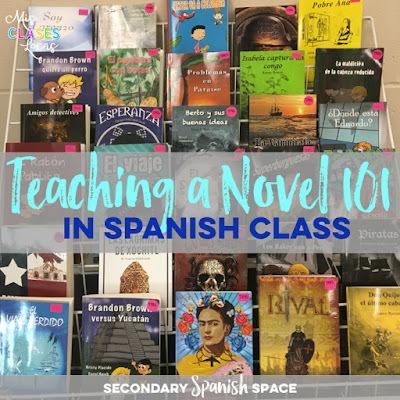 Allison breaks down exactly how she uses a novels as the center of her curriculum in teaching a novel 101. Now is the perfect time to pick a show from this list to binge-watch this break. Also, the comments of the post have many other suggestions as well, including newer to Netflix, El Barco The second season of Las chicas del cable comes out December 25th too! 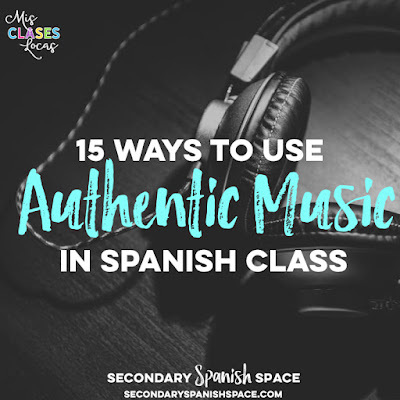 This post on ways to use authentic music was the first ever published on Secondary Spanish Space! Get ideas on how you can utilize music in new ways this year. 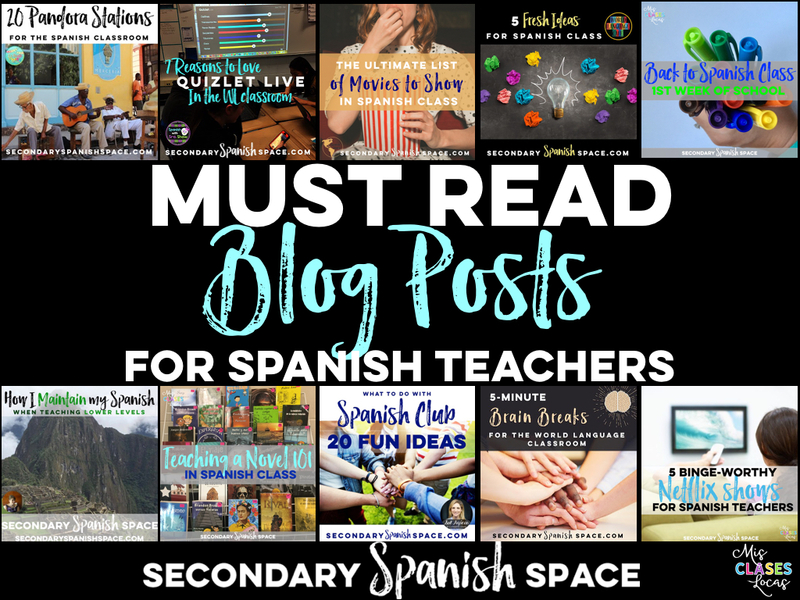 Elisabeth shares 10 fun and easy ways to give students a brain break in this post. These quick breaks leave everyone refreshed and ready for the second half of class. 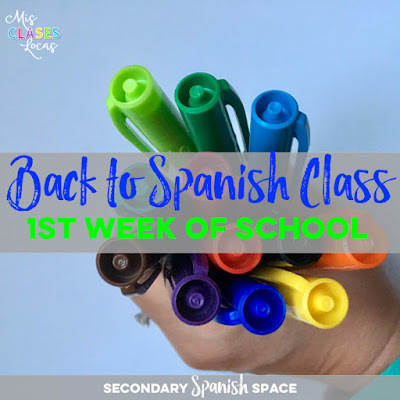 These 1st week of school ideas from Allison would be great if you are starting with a new bunch of kids second semester. 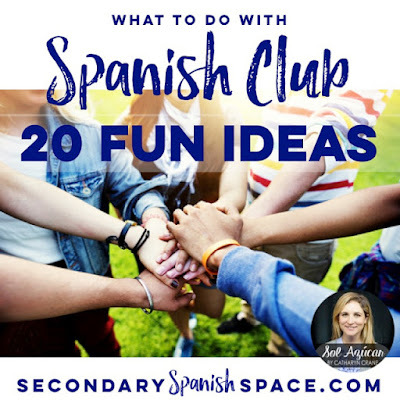 Cathryn's 20 Fun Ideas for Spanish club was our second most popular post. Find out how you can make everyone want to join Spanish club this year. 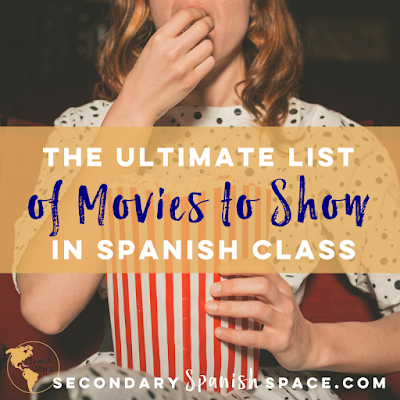 Elisabeth's Ultimate List of Movies for Spanish Class was by far the most popular post on Secondary Spanish Space this year! Not only does it have ideas of almost 50 movies to use, it includes a summary, suggested student age, running time, rating, and themes to connect to your existing curriculum. 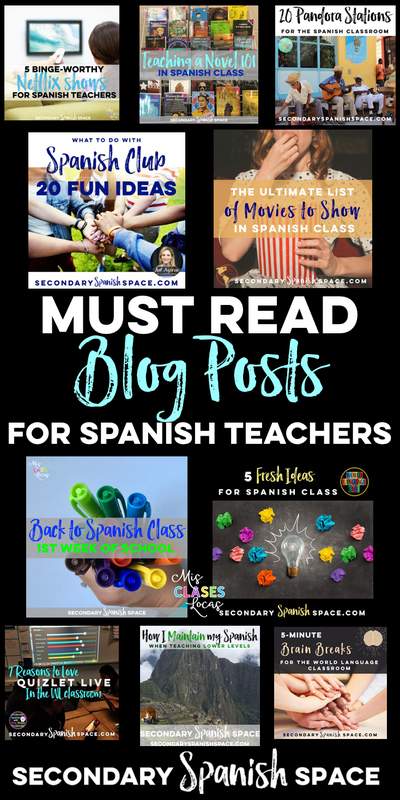 As you know is Spanish class, using a great authentic film can be the basis on an entire unit, so check out this list for a ton of ideas! There you have it, our most popular posts of 2017. What would you like to read about in 2018? Please comment to let us know, as we would love your feedback and are always looking for ideas!